Scott Brusaw and his wife Julie have come up with a great idea which can help this planet cut down its greenhouse gas emissions. They've created solar panels which can be installed in streets and roadways. Yes, you can drive, walk, and park over them. 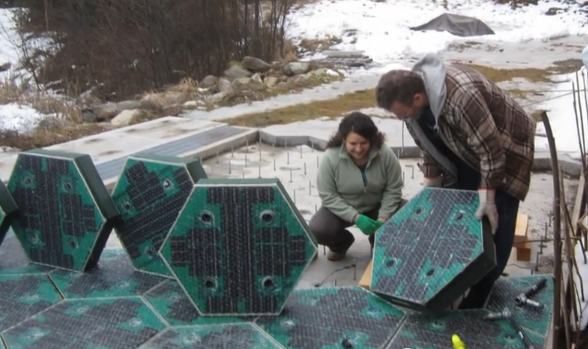 The couple calls their creation Solar Roadways. These solar panels can withstand pressure from heavy trucks weighing 250,000 pounds. It's a great source of renewable energy which can revolutionize the solar energy industry if it gains traction and support. The couple has set up an IndieGoGo campaign to raise funding for their project. If you want to support and donate to the cause, please visit the IndieGoGo page for the campaign here.